When it comes to marketing, it’s GottaBe! With Tomasz Dyl, managing director of GottaBe! Back in 2008, GottaBe! started as a PR agency servicing British’s companies who wanted to reach out to the Polish Community in the UK. However, as the credit crunch deepened, the company decided to change its core services and move into field- and experiential marketing. Since then, GottaBe! has been providing services including Polish-speaking brand ambassadors, events management, ethnic marketing and consultancy. To name a few of our clients, of whom we have more than 100, there’s Specsavers, Western Union, the Co-op, Uber, plus some Polish brands such as PKO Bank Polski and Megaron. I started the business while only 17 years old. Facing two challenges – starting a business during recession and being a newcomer to the UK with limited English, I tried my hardest to ensure the business goes from strength to strength. Creating drama is what we do best, but in a good way! At GottaBe! we have an extremely creative team who can deliver fun and exciting campaigns that get people talking. Every campaign is bespoke to our client’s needs, nothing is recycled and we never add preservatives – or outsourcing. We promise to give you 100% pure field and experiential marketing that is tailored specifically to you and your brand. Whether you’re a new business entering the UK or already sell to the British’s public but would like to improve your marketing, the team at GottaBe! will be more then happy to help. In respond to our clients’ demand, in September 2012, GottaBe! launched a dedicated division within the agency that specialises in multicultural marketing called GottaBe! Ethnic. Having done our research, we identified that only one in five 5 UK companies utilises ethnic marketing. We help companies of all sizes and from all sectors to target ethnic minorities, including those of Polish origin, across the UK, by opening their boundaries to interact with a demographic that has a spending power of £300 billion! We’re one of a few companies in the UK that is able to provide bi-lingual brand ambassadors who between them speak in more then 45 languages including Polish, Punjabi, Romanian, Filipino and Urdu. The key services offered by the agency are: field and experiential marketing, product demonstrations and sampling, merchandising, promotional staff including hostesses and models, events management, exhibitions and printing services. When a Polish manufacture of gypsum-polymer, Megaron, was launching at B&Q stores across the UK, the firm called upon GottaBe!’s services to assist with in-store promotions of the products. 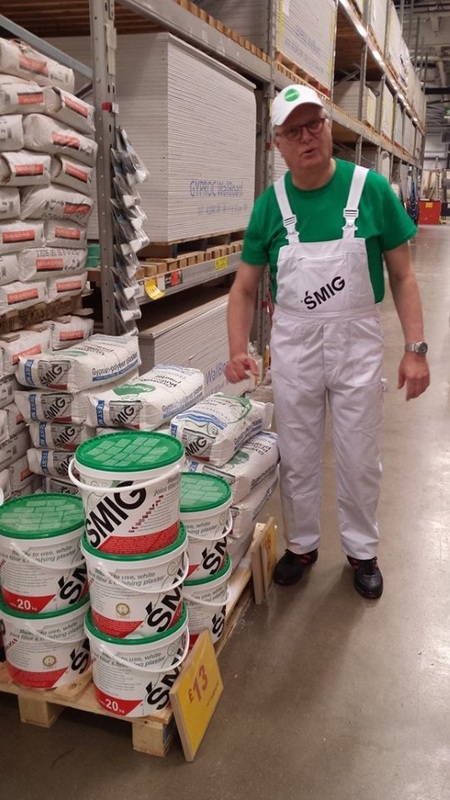 Promotional staff, number of whom were Polish, were engaging with builders and contractors at their local B&Q stores, showcasing how easy it is to apply SMIG, one of Megaron’s products, and explained the key benefits of it. 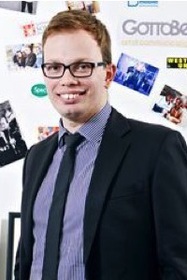 Wojciech Wisniewski, Megaron’s export director said: The GottaBe! team took care of recruitment and training of Brand Ambassadors, merchandising and print, plus managed the relationships between our brand and B&Q. We were very pleased with the work provided. We found that GottaBe! can act quickly and adapt to changing environments, their Brand Ambassadors are reliable, hard working and keen to represent our brand and most importantly, this has translated into uplift in sales”. During 2015, GottaBe! was also responsible for managing four event for Anna Lewandowska (wife of football legend Robert Lewandowski) of Healthy Plan by Ann across the UK and Ireland. The hard work of the my team and me was noticed and in 2013, I was named Southampton’s Young Entrepreneur of the Year. A few months later, GottaBe! was shortlisted for one of the industry’ biggest award – the COGS Awards in the category of Staffing Agency of the Year. In January 2016, I received another award this time for “exceptional achievements”. Often, the team at GottaBe! get interviewed about the Polish market in the UK – since the launch, they have featured in more than 25 different newspapers, radio stations and TV channels including Sky News, BBC One, The Guardian as well as some of the best-known Polish media like RMF, Gazeta Wyborcza and Interia.pl. GottaBe! now employs six full-time team members, four of whom are British and over 4,500 casual brand ambassadors across the UK and Ireland. In the last 24 months, GottaBe! 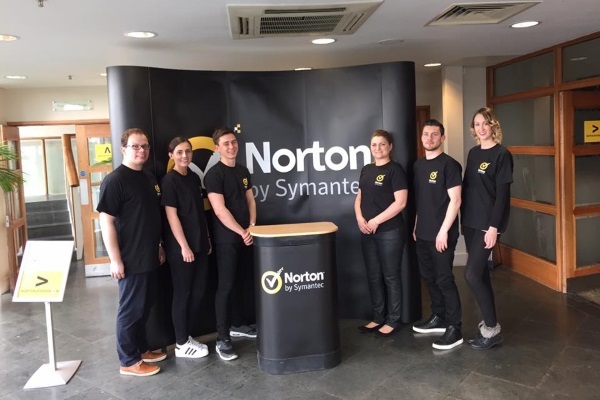 has signed more clients than ever before – these include some big corporates such as Norton by Symantec, Domino's Pizza, Uber, the Co-op, Bupa and EE. We’re thrilled that we are expanding, and that more and more companies are choosing to work with us. We’ve another year ahead of us – this year, we’re going to be nine years old and my team and I have prepared a number of new services that will be launching soon. The company is based in Southampton on England’s south coast, but we operate right across the UK, including Northern Ireland, and also in the Republic of Ireland. As well as supporting British businesses getting to the Polish market, the team at GottaBe! has also successfully helped number of fellow Polish entrepreneurs to sell their services and goods to the British consumers. “We find that quiet a few of the many Polish businesses across the UK only sell to their local Polish customers, but with our help and support, we were able to introduce them and their businesses to much larger audience”. The team at GottaBe! is always on hand to answer any questions about the Polish market in the UK and Ireland. What’s more we’re offering all BPCC members a free marketing consultation and review of your current marketing activities – get in touch with us now on +44 2380 634283 or by e-mailing: hello@gottabemarketing.co.uk to book your consultation. For more information, case studies, useful blogs and more, head over to GottaBe!’s website – www.gottabemarketing.co.uk or their Ethnic division – www.gottabeethnic.co.uk.